Formerly Conran Restaurants, D&D London was founded in 1991 and remains one of Europe’s leading high quality restaurant groups, owning and operating restaurants with aggregate revenues of over £100m in London, Paris, New York and Tokyo. 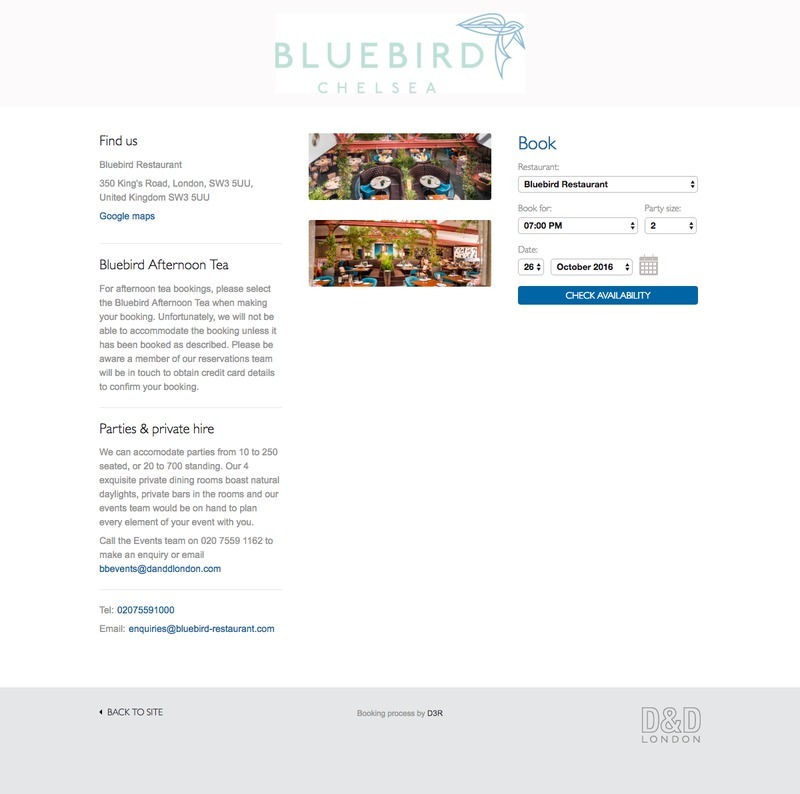 D&D wanted a greater degree of control over the look, feel and experience of their critical conversion path: the journey a customer takes to making a reservation with them online. All of D&D's direct online reservations are handled via D3R's customisable booking system, which is integrated with the API. We were the first agency in the UK to work on this integration. The system enables D&D to add new restaurants themselves and customise with the respective branding. The Zetter Hotel is a contemporary, converted Victorian warehouse in Clerkenwell, just minutes from Farringdon Station and ideally situated between East London and the West End. 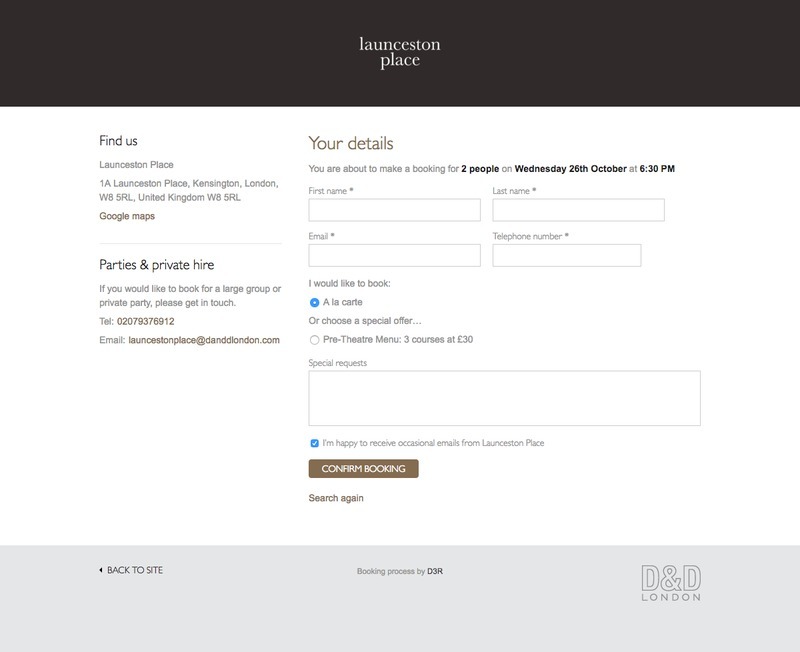 Standalone website for the destination restaurant at The Beaumont Hotel in Mayfair.